This exquisite 3BD/4BA Gulf facing unit features tile throughout, granite countertops, ceiling height cabinets and custom backsplash in kitchen with terra cotta accents, upgraded range and refrigerator, accent tile under kitchen counter with custom corbels, pendant lighting over countertop, and wall cabinets with recessed lighting and glass shelving with mirror backing in wet bar area. The master shower features custom tile, along with double shower heads and additional body sprays. There are custom floor to ceiling blackout drapes on the South facing windows, wall mounted televisions in every room, a private owner&apos;s closet located within the unit, and a climate controlled storage unit located on the 12th floor. This beautifully furnished unit is located on the 20th floor with lovely views of the Gulf of Mexico. This is an exceptional investment opportunity with solid rental history. 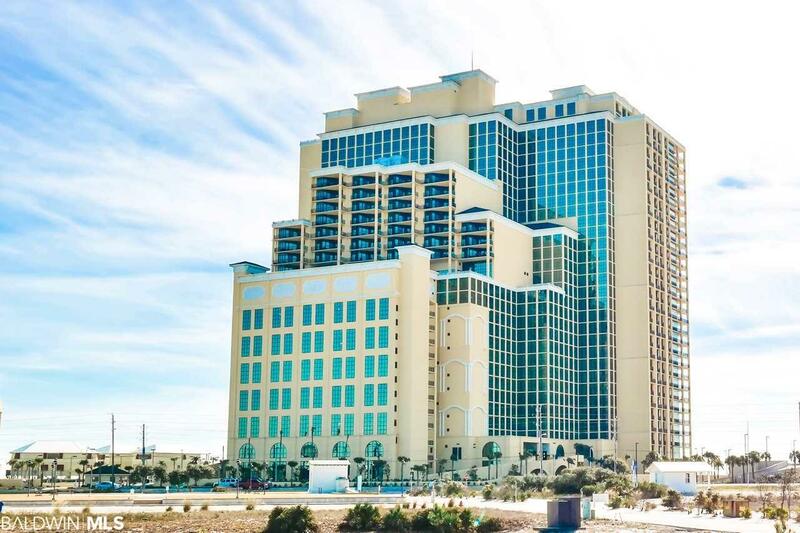 Phoenix West II offers amazing amenities including outdoor pools with a lazy river and waterslide, indoor pool, hot tubs, sauna, fitness center with stunning Gulf views, BBQ area, tennis courts, arcade, and more! Please contact the listing agent for additional information. All information and measurements to be verified by buyer and / or buyer&apos;s agent.